E a Dinamarca ataca novamente, dessa vez encharcado de muralhas de guitarras e muito de SY e Pixies. Caminhando entre o noise e as guitar bands, o Metric Noise joga na nossa cabeça em seu novo EP Breaks Heat Control sua adoração completa pela Surfer Rosa, arrasador em suas quatro faixas e muito mais muito pop, os caras meio que seguem a tendência abertura pelo Autolux e seguida por gente como o Creepoid. 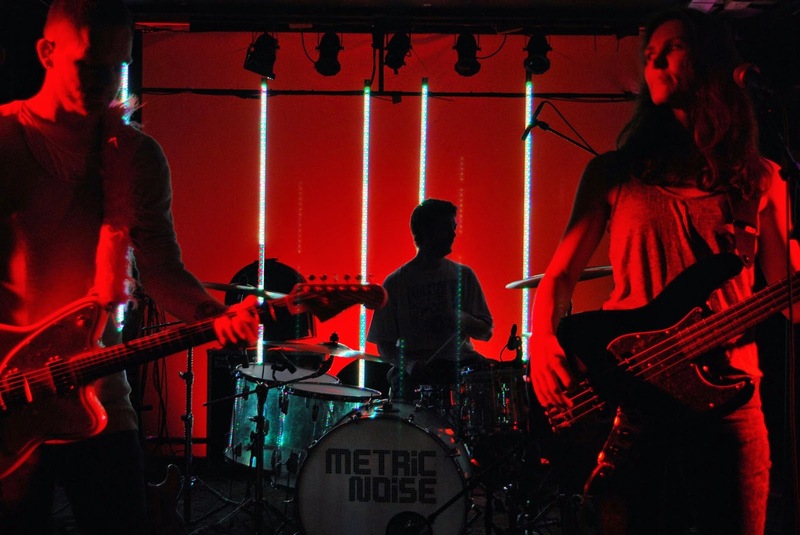 O Metric Noise pode virar sua mais nova banda do coração. Metric Noise was formed around the year 2000 by drummer Kristian and guitarist/vocalist Christoffer E. By that time the two had already played together for several years under various names and played most of the Copenhagen venues. The ambition was to play fast, play loud and avoid clichés both lyrically and musically. The band put out their debut album “Racing Laps Of Distortion” in 2004 and a year later they stood on stage at the Roskilde Festival. In 2008 the second album “Future From Sand” was released. The album was made in collaboration with the produceres behind bands like The Raveonettes and Junior Senior and was well received by the press especially in Germany. In 2010 the EP “Breaks Heat Control” was put out as a free download, celebrating the bands 10 year anniversary and Metric Noise supported When Saints Go Machine on Stairway Festival the same year. In 2012 Mette joined the band adding bass and backing vocals. An EP called “What Is To Come After This” is about to released very soon. 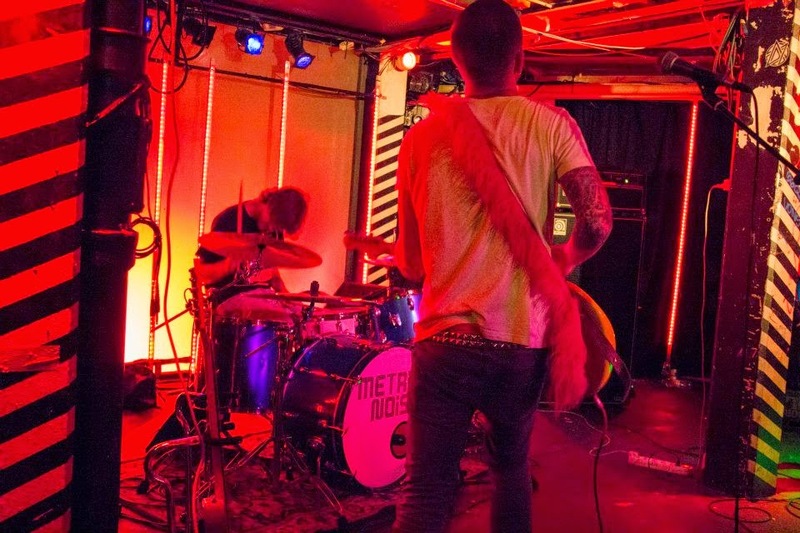 The members of Metric Noise have very different background musically as drummer; Kristian is out of the Death Metal scene, Mette out of Jazz and folk and Christoffer out of punk and american noise rock. The band has been compared to bands like Jane’s Addiction, Sonic Youth and Joy Division. Q. Make a list of your all time 5 albums! Metric Noise is a live band and the energy level on the instruments leaves you no doubt about the enthusiasm behind the project. Still the band creates dynamic sets for their shows letting people relax and enjoy crooked chords and downtempo beats before returning to new energy explosions. Q. How would you describe Metric Noise's sound? The sound is both in your face and at the same time filled with space leaving room for details and lyrics. For Metric Noise there’s no formula on how to create new material. Sometimes tracks evolve from rehearsing and sometimes recording ideas right when they come to mind creates the foundation. The new material came to life by recording in layers, adding stuff untill it seemed right. If you need a band to love at first “sight”, we would strongly recommend “Soviet Soviet”. If you need a band that’ll grow on you, you might wanna give “Dinner” a chance..
Q: Which bands would you love to cover ? Well we already covered Samantha Fox, The Ramones, The Pixies and Joan Jet. We might wanna do some Spandau Ballet one day. Q: What are your plans for the future…. The plan is to put out the new EP, tour the world and live forever. That being said, we also have plans on recording new material shortly. Hope that people reading this will take the time to listen to our music. Knowing that our work means something to someone other than ourselves is priceless.